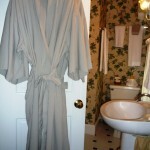 Elegant Robes at Thurston House B&B! 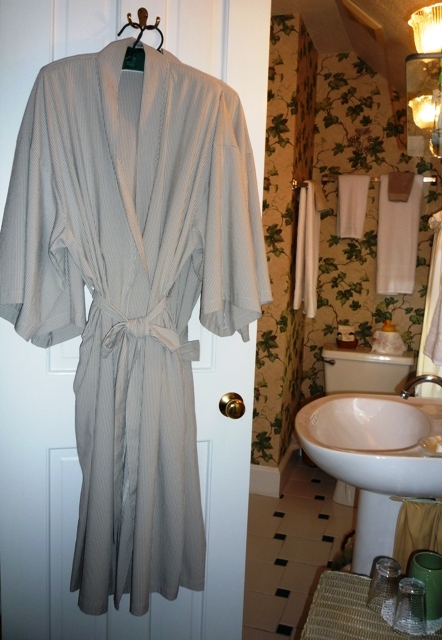 Every time I wash one of our beautiful robes, I can’t help but think what a wonderful amenity they are for our guests to enjoy. They are of the finest quality, a taupe striped seersucker, and made by the Telegraph Hill Robe Company in San Francisco. They are of generous size, kimono styled and feather light, just the right type of robe for our warm weather here in the Maitland-Winter Park area of Central Florida. Book your room now and come try them out!